Thirty years ago, robots might have seemed limited to science fiction novels, but even today there are many industries that have seen the shift towards automation take hold. AI is already impacting our workforce -- and the changes are likely just getting started. From the printing press to the digital age, new technology has long had a tendency to be viewed as disruptive, and is often met with resistance in the workplace. This is also the case when new advancements shift or evolve how we work. Artificial Intelligence (AI), what many have deemed the cause of the "fourth industrial revolution," is no different. While humans aren't always inventing new things, one thing we're really good at is figuring out how to do things better, faster, and more efficiently. Thirty years ago, robots might have seemed limited to science fiction novels, but even today there are many industries that have seen the shift towards automation take hold. AI is already impacting our workforce -- and the changes are likely just getting started. Will Canadian workers be affected? 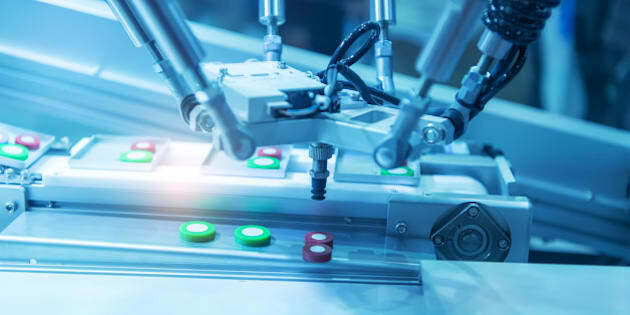 A new report by the Brookfield Institute shows that new developments in artificial intelligence and robotics put 42 per cent of Canadian workers at a high risk of seeing their jobs disappear or significantly changed in the next two decades. We might be tempted to assume that it's only blue-collar jobs that will be affected by AI. But data, including some from the World Economic Forum's Future of Jobs report, suggests that white-collar workers should also be concerned. Experts predict that certain jobs, in which a lot of repetition takes place, will be mastered by AI. This includes aspects of accounting, law, financial services and even routine surgery. Ultimately, what this means is that those in the "knowledge economy" are not necessarily immune -- and Canadian workers should take note. Similar to how you might approach a new business prospect or investment, consider conducting a thorough analysis of yourself when it comes to your job. Look at your career trajectory and current position to determine how valuable you are in the market today, and how this could change in the future. Some questions to ask yourself could be: what do I enjoy doing most? What is my "unique offering"? What aspect of my job could I improve on? Think about your personal brand-- and if you were a brand, what would your standout qualities be? A self-analysis can help you identify your strengths and weaknesses. For example, are you in a field where the majority of work is repetitive and at risk of being automated? Or, is your career one in which you're continually building new skills or taking on more challenging work? This exercise should help point you towards taking the appropriate next steps for your career. Once you've performed a deep-dive into your current job and prospects, consider whether there is opportunity to learn a new skill. This could include technical or soft skills that could help in working alongside AI, or potentially both. There are many free or low-cost options to learn technical skills, such as coding. As for soft skills, human functions such as judgement, management and critical thinking skills are less at risk in relation to automation, and there could be opportunities in your current position that could help you improve in this area. Other options are management courses, or workshops designed to help improve creativity. As AI becomes more common in the workplace, the qualities that distinguish us as humans and not just workers will still matter, and potentially have greater value than before. If you're looking to advance in your career, it's more important than ever before to always stay ahead of the curve, regardless of your chosen field. Keep on top of industry news and developments so you can stay up-to-date on the latest trends. This will help you find the right avenues to build your skill set, and ways to fit yourself in. For example, in 2014 the Government of Canada reported that over the next decade, about two-thirds of job openings in Canada will be in occupations typically requiring post-secondary education or in management roles. Invest time into researching your industry by subscribing to trade publications, attending events or following relevant blogs. Evolution in the workplace is natural and survival is all about adapting to change. It's important to take steps now to set yourself up as a professional with diverse skills, so you can acclimatize well to a more automated workplace later. While this may seem daunting, consider the positives: advancements in technology will also bring new opportunities, and the value of creativity, problem solving and social intelligence -- skills that remain difficult for technology to replicate -- is also expected to grow. Most importantly, remember that you are in charge of shaping your career path, and the best way to beat a challenge is to be well-prepared.